AHRN Myanmar Office was set up, with 3 staffs, in July 2003 under MoU with the Ministry of Home Affairs: Central Committee for Drug Abuse Control (CCDAC). During its first year of operations in Myanmar, AHRN conducted seminars and workshops, exposure/study tours for Government, local and international NGOs and UNs counterparts to study Harm Reduction initiatives in India, Pakistan and Hong Kong. AHRN Myanmar was then funded by Fund for HIV/AIDS in Myanmar (FHAM) through UNAIDS. The objective was to reduce HIV transmission among people injecting drugs, their (sexual) partners and the communities they live in by providing support for the implementation of harm reduction interventions and to create an enabling and supporting environment through advocacy, capacity building, training and service provisions. 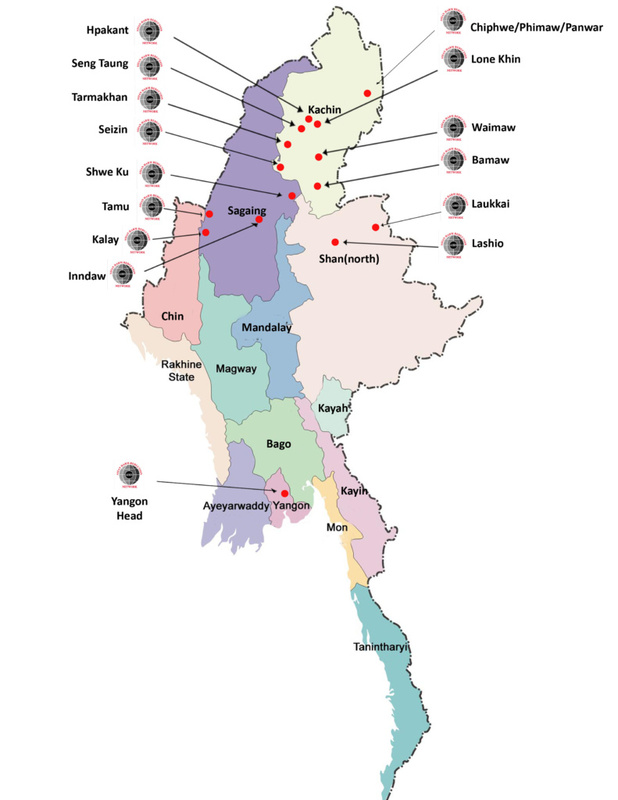 AHRN hopes are to reach as such, directly and indirectly, thousands of people who use drugs, their sexual partners and their families in some of the worst affected areas in Myanmar. AHRN is legally registered as International Non-Government Organization (INGO) under the Ministry Of Home Affairs, Republic of the Union of Myanmar since 5 June 2012, valid until 31.12.2021 with registration number 1/Pyi Pa/0089. BSPSG is legally registered as Local Non-Government Organization (LNGO) under the Ministry of Health and Sports, Republic of the Union of Myanmar since 21.5.2013 , valid until 31.12.2017 with registration number #2073.